Royal Caribbean Cruises announced Tuesday that the cruise line has been named to the Forbes List of Best Large Employers for 2017. Forbes surveyed employees at mid-size and large companies, asking respondents to rate their employer on the quality of the work environment and whether they would recommend their company to potential employees. The survey asked 30,000 American employees to state their opinions anonymously without influence from their employer. The companies were grouped into one or more of 25 industry sectors. 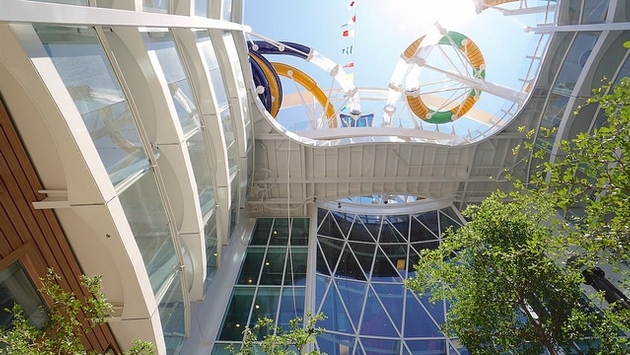 Royal Caribbean Cruises Ltd. owns and operates three global brands, including Royal Caribbean International, Celebrity Cruises and Azamara Club Cruises. The company sails a combined total of 48 ships, with an additional thirteen on order, and reaches approximately 535 destinations on all seven continents. Earlier this year, the Forbes Travel Guide also added nearly two dozen new hotels to its coveted list of Five-Star properties for 2017. The publication added 76 new properties to its Four-Star category and 83 new hotels to its recommended category.